Bifold doors are now more popular than sliding patio doors, paired doors or French Doors. They are today’s aspirational product for that modern look. The are also very practical because of their flexibility of use and slim profile, and nothing is better for linking the house to the garden. Bifold doors are highly engineered therefore it is best to have them installed professionally. 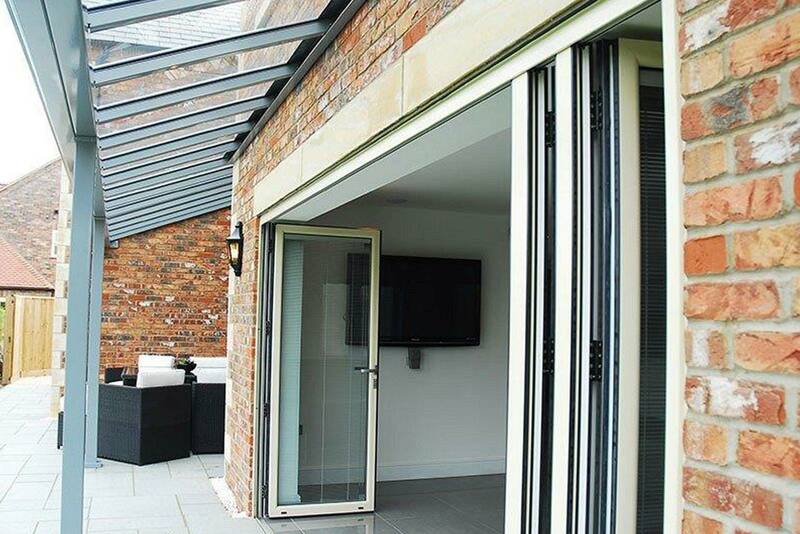 Camberley Glass and Windows is a local company which has been supplying and fitting bifold doors in Ascot for many years. We pride ourselves on our professional approach and customer care, and we would be happy to use our considerable experience in helping you with the selection and installation of your door. Our team is fully qualified and FENSA registered, and we are also on the Buckinghamshire and Surrey Trading Standards Approved traders list. You can see what our customers think of our service by looking at our high ratings on Checkatrade and read their testimonials on our web page. Indeed much of our business comes from personal recommendation. If you are considering buying a bifold door please come and have a look at the large range on offer in our showroom at Camberley, Surrey. We can offer you some friendly advice and you can pick up some brochures on the types of bifold door available. If you have any questions we would be more than happy to answer them.